Walt Disney Studios, producer Jerry Bruckheimer and director Jon Turteltaub, the creators of the “National Treasure” franchise, present THE SORCERER’S APPRENTICE — an innovative and epic comedy adventure about a sorcerer and his hapless apprentice who are swept into the center of an ancient conflict between good and evil. 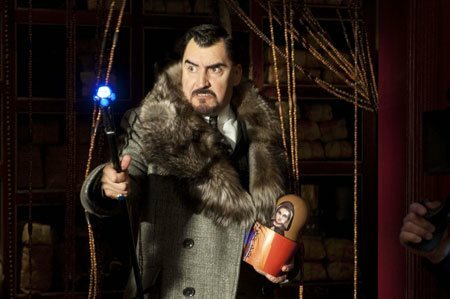 Balthazar Blake (NICOLAS CAGE) is a master sorcerer in modern-day Manhattan trying to defend the city from his arch-nemesis, Maxim Horvath (ALFRED MOLINA). 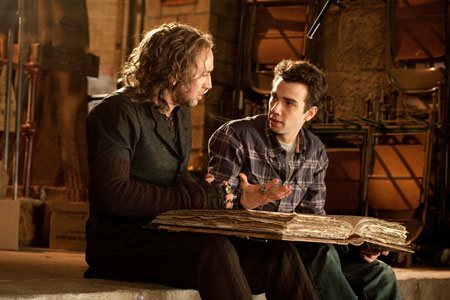 Balthazar can’t do it alone, so he recruits Dave Stutler (JAY BARUCHEL), a seemingly average guy who demonstrates hidden potential, as his reluctant protégé. The sorcerer gives his unwilling accomplice a crash course in the art and science of magic, and together, these unlikely partners work to stop the forces of darkness. It’ll take all the courage Dave can muster to survive his training, save the city and get the girl as he becomes THE SORCERER’S APPRENTICE. The screenplay is by Matt Lopez and Doug Miro & Carlo Bernard from a screen story by Matt Lopez and Larry Konner & Mark Rosenthal. 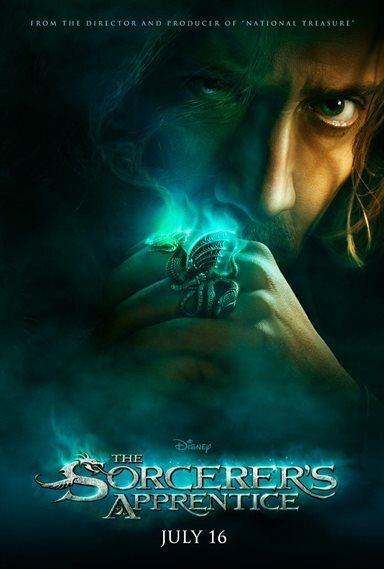 Download The Sorcerer's Apprentice in Digital HD from the iTunes store. The Sorcerer's Apprentice images are © Walt Disney Pictures. All Rights Reserved. 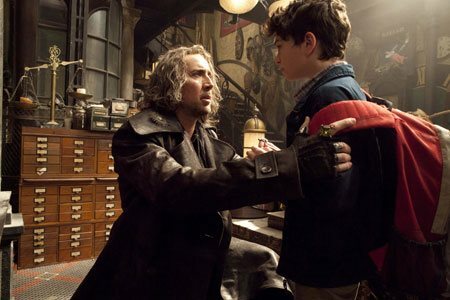 Get ready for some true Disney magic this summer with the Disney/Jerry Bruckheimer release, The Sorcerer's Apprentice. It is directed by the National Treasure Director, Jon Turteltaub, and stars Nicolas Cage, (Con Air, The Rock), Alfred Molina (Spider-man 2), Jay Baruchel (How To Train Your Dragon), Monica Bellucci (Matrix Reloaded, Shoot ‘Em Up), and Teresa Palmer. Based on the 1940's Fantasia short with Mickey Mouse, The Sorcerer's Apprentice is an innovative and epic comedy adventure about a sorcerer and his hapless apprentice who are swept into the center of an ancient conflict between good and evil. 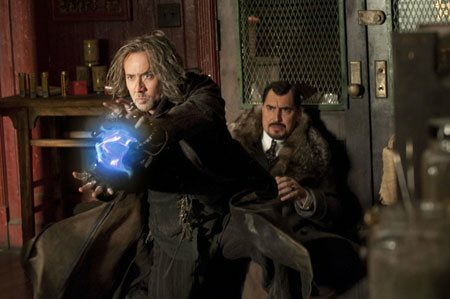 Balthazar Blake (Nicolas Cage) is a master sorcerer in modern-day Manhattan trying to defend the city from his arch-nemesis, Horvath (Alfred Monila). 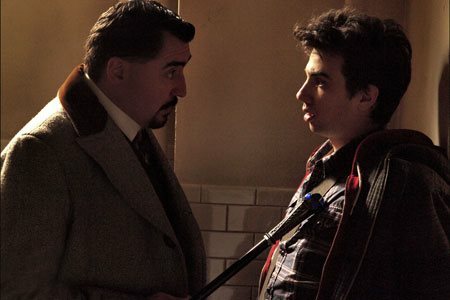 Balthazar can't do it alone, so he recruits Dave Stutler (Jay Baruchel), a seemingly average guy who demonstrates hidden potential, as his reluctant protege. The sorcerer gives his unwilling accomplice a crash course in the art and science of magic; and together, these unlikely partners work to stop the forces of darkness. 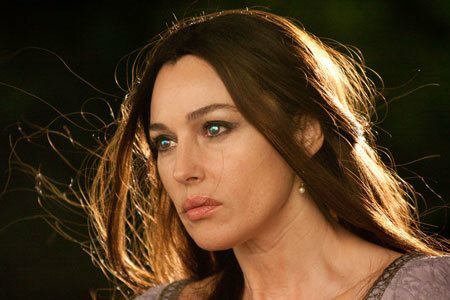 The film surprisingly starts out during the middle ages with Balthazar, Veronica, and Merlin trying to stop the world from being destroyed by Morgana and her henchman Horvath. The film then proceeds to jump ahead to the year 2000 where the audience is first introduced to the young Dave Stutler and his first encounter with Balthazar. From then on, it is a pure rollercoaster ride of entertainment that does not stop until after the end credits. Jon Turteltaub handles this film with ease, and the actors seem right at home with him. There is not one performance that stands out as being lackluster; everyone is on their A-Game and performs perfectly for you to believe the world of magic is real. Before seeing the film, there where two bothersome issues that made it seem like this film was doomed to fail. 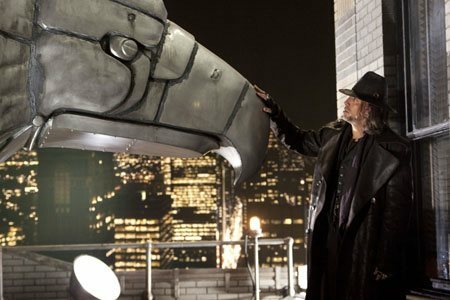 The first was that there were no less than three story writers and three screenplay writers for the film. However, the fear was unfounded -- the script was quick witted and cleverly crafted. The second worry was that The Sorcerer's Apprentice special effects were farmed out to different special effects' houses scattered throughout the world. However, they all worked flawlessly together, and a normal audience member would not be able to tell that they were not all done by the same special effects house. If you are looking for a great summer popcorn film, then The Sorcerer's Apprentice is it. The action looks amazing, the story is funny and charming, and the actors in the film could not be better. Also, make sure and stay until after the credits to see a cameo by everyone's favorite mouse! The Sorcerer's Apprentice images © Walt Disney Pictures. All Rights Reserved.